Doctors and scientists are excited about stem cells because they could help in many different areas of health and medical research. Studying stem cells may help explain how serious conditions such as birth defects and cancer come about. 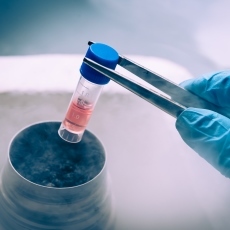 Stem cells may one day be used to make cells and tissues for therapy of many diseases. Examples include Parkinson's disease, Alzheimer's disease, spinal cord injury, heart disease, diabetes, and arthritis. Article: Medication adherence after pediatric allogeneic stem cell transplantation: Barriers and facilitators.